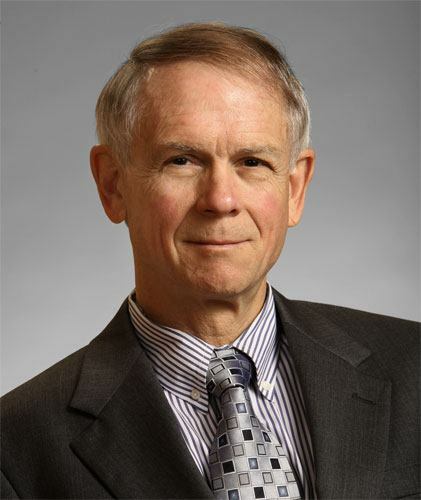 Bill Norman started practicing law in California after extensive experience as an officer in the U.S. Army, first as an infantry platoon leader on the DMZ and later as a trial attorney for both criminal prosecutions and their defense. Then, after serving for many years as a trial partner at Bronson, Bronson & McKinnon (where he chaired the Real Estate Litigation Department), he joined Cooper, White & Cooper LLP in 1999. He is a highly experienced business trial lawyer with emphasis in real property, wrongful termination, trade secret, professional liability, partnership/LLC disputes, probate litigation (including elder abuse and undue influence claims), and lender liability issues. He has tried over 75 civil lawsuits to successful conclusions, the majority of them jury trials, with the result that he has been elected to the American Board of Trial Advocates. At Cooper, White & Cooper, Mr. Norman chairs its Real Estate Solutions Group. He regularly posts articles on the Firm’s website, including, most recently, “When the Business Judgment Rule Clashes with Fiduciary Duty Principles: Recent ‘Lessons Learned’ from the Courtroom.” He has spoken to a wide variety of professional groups, including the annual CEB seminar on Real Property Remedies, the annual California Bankruptcy Forum, the international LAW convention, PLI, the Annual IPA Commercial Roundtable Forum, several regional offices of JAMS judges, and the Securities Roundtable Forum. He has appeared on national television to discuss constitutional issues and he has served as an expert witness on numerous litigation-related issues, including standards of care regarding trial strategy and the reasonableness of legal fees. On behalf of a national bank client, successfully defeated a significant lender liability claim and obtained a $1.7M recovery for the client on a related cross-complaint against a commercial loan guarantor. In a lengthy superior court trial, won a $7M judgment, plus $1M in attorneys’ fees for an individual plaintiff in a case involving the theft of a partnership opportunity by a defendant general partner in the context of a mortgage-backed security transaction. After a month-long trial, won a $7.5M award for a minority partner against its general partner in a cable TV investment where evidence showed extensive self-dealing by the general partner. In a two-week trial, successfully defeated a $2.5M breach of contract and wrongful termination claim made by an East Coast alcoholic beverage distributor against a nationally prominent winery/movie producer client. Obtained a defense judgment after trial for an international client in a case involving alleged misuse of overseas letters of credit by the client on a complex commercial transaction where over $50M in damages were claimed. Won a $1.3M award after trial for a national real estate investment trust client against the seller and builder of a large apartment complex with respect to construction defects, including multiple AAS issues. Successfully defended a California superior court lawsuit through trial against claims seeking an alter ego judgment against an individual client by piercing the corporate veil of his affiliated corporation and obtained substantial attorneys’ fees in favor of the individual client. Obtained a judgment in favor of our client after trial in a dispute between two partners arising out of extensive investments in Southern California commercial real property, with cross-claims for breach of fiduciary duty, fraud, conversion, accounting, contempt of court, and domestic violence. In another matter, won a $400,000 judgment after trial for an individual client wrongfully accused of real estate partnership fraud. Secured a highly successful result following trial in a breach of duty dispute between a prominent real estate developer client and one of its minority shareholders. Obtained a defense award after trial for a restaurant client accused of violating numerous covenants in its lease. Obtained a defense award in favor of a nationally prominent client in an arbitration involving non-disclosure of an underground storage tank. Won a $400,000 judgment after trial for an individual client wrongfully accused of real estate partnership fraud. Continuing successful litigation representation and counseling of parties to distressed real property development projects as triggered by the current credit crisis, including lenders, borrowers, guarantors, contractors and owners. This includes a wide variety of strategic actions such as pursuing managers who have commingled or stolen funds, developing lender liability claims and defenses, initiating Chapter 11 bankruptcies to preserve negotiating flexibility (and defending against SARE motions to dismiss), asserting and defending claims on personal guaranties, managing internal investor relations, defending mechanics lien foreclosure actions, and negotiating restructuring packages with third party developers (Ongoing). Won a California Appellate case in a published opinion [Westra v. Marcus & Millichap, 129 Cal.App. 4th 759] establishing the right to arbitration by a non-signatory agent to a contract containing an arbitration clause. Successfully defended a nationally prominent winery in resolving claims of TCA contamination and associated product disparagement. Continued representation and counseling of clients as to environmental litigation including issues arising out of CERCLA, nuisance, ultrahazardous liability and trespass causes of action. Substantial ongoing counseling of general contractor clients in regard to AIA contracts, foreclosure and bankruptcy issues, delay claims, change orders, building damage claims for mediation, and upgrading ADR provisions. Successfully defended attorneys in two separate complex cases involving alleged contempt of court. Obtained a defense judgment for a nationally prominent freight forwarding company on a wrongful termination claim brought by the company’s former president. Obtained an eight-figure settlement for a national real estate developer against the alter ego parent of a foreign-owned joint venture partner for breaching a financing commitment on a failed luxury hotel and golf course. Obtained six figure judgments against alter ego defendants in two separate cases after piercing their corporate veils. Successfully defeated, through a C.C.P. §425.16 Anti-SLAPP motion, numerous malicious prosecution and interference with contract claims made against an attorney client, and won a substantial award of attorneys fees for the client. Won a $750,000 summary judgment in federal court for a national building management firm on a fidelity bond claim against an insurance company for a bad faith denial of coverage of claims arising when a top executive of the client in Los Angeles took kickbacks from third party vendors. Successful defense of psychologists and clergymen in numerous lawsuits for alleged breaches of confidentiality. Successfully defended and prosecuted numerous lawsuits for alleged breaches of fiduciary duty on the part of majority owners of corporations and limited liability companies with respect to their relationships to minority members or shareholders. Achieved numerous highly successful results, including injunctive relief and a seven-figure recovery, in several major trade secret lawsuits on behalf of a national real estate broker against agents and managers who departed with customer lists and proprietary information. Negotiated a $1.1-million settlement for a plaintiff lender in an action against its real estate developer and its contractors for construction defects in a large apartment complex. Represented plaintiffs in a multimillion-dollar settlement arising out of deaths in the Loma Prieta earthquake caused by a commercial building’s lack of seismic safety. Successfully defended a large real estate developer in a class action construction defect case in Contra Costa County. Successfully defended a Bay Area-based REIT in a $12 million construction defect lawsuit for developer liability on a large peninsula condominium project, settling the case with a contribution equal to less than half of expected trial costs. Continuous advice, counseling, and litigation defense of partnership disputes, including litigation and mediation of issues involving departing partners taking clients and files. Successful defense of a client on a project delay claim arising out of construction of the Grand Coulee Dam. Successful defense of numerous real estate developers in over 25 cases alleging construction defects, including foundations, roofing issues, hardboard siding, beetle-infested hardwood floors, and faulty jacks. Numerous successful trials and arbitrations defending real estate brokers, attorneys, psychologists, clergymen, engineers, and appraisers against claims of professional negligence and fraud. Successfully defended the project engineer on professional negligence claims arising out of construction of the Black Butte Dam. Obtained through litigation a $1-million reduction in rent on behalf of an engineering company tenant on the grounds that the landlord’s 1927 building lacked seismic safety. Successfully defended a REIT in a suit for breach of a written loan commitment agreement. Successfully represented plaintiffs in several multimillion lawsuits for fraud in connection with mortgage conduits. Won a summary judgment for a client seeking a critical prescriptive easement for its commercial property. Mr. Norman’s litigation philosophy is to be aggressive in representing a client’s interests while continuing to look for creative and cost-effective solutions. As a professional mediator who successfully completed the national Academy of Attorney Mediators program, he understands that early resolution of disputes is preferable, though ADR efforts are best pursued after solid preparation and from positions of strength. Litigation budgets are a desirable way to address client expectations and to control legal costs. Clients should be kept closely advised in detail. All client inquiries should be responded to immediately, and certainly no later than the same business day. Mr. Norman has spoken widely to a variety of professional audiences, including Continuing Education of the Bar (1999 – present, panelist in CEB’s Real Property Remedies Seminar), the California Bankruptcy Forum, Lorman, and Practicing Law Institute seminars, law schools, trade associations, and state conventions. He has appeared on national television (ABC’s “20/20”) to discuss constitutional issues, and he has published numerous articles on a wide variety of current issues. These include articles appearing in California Lawyer, The Recorder, The Daily Journal,CPA Managing Partner Report, Alternatives, Pacific Builder, ABTL Report, Financial Planner Magazine, Realtor Magazine, Defense Research Institute Journal, American Agent & Broker, California Real Estate Journal, and Corporate Real Estate Executive.